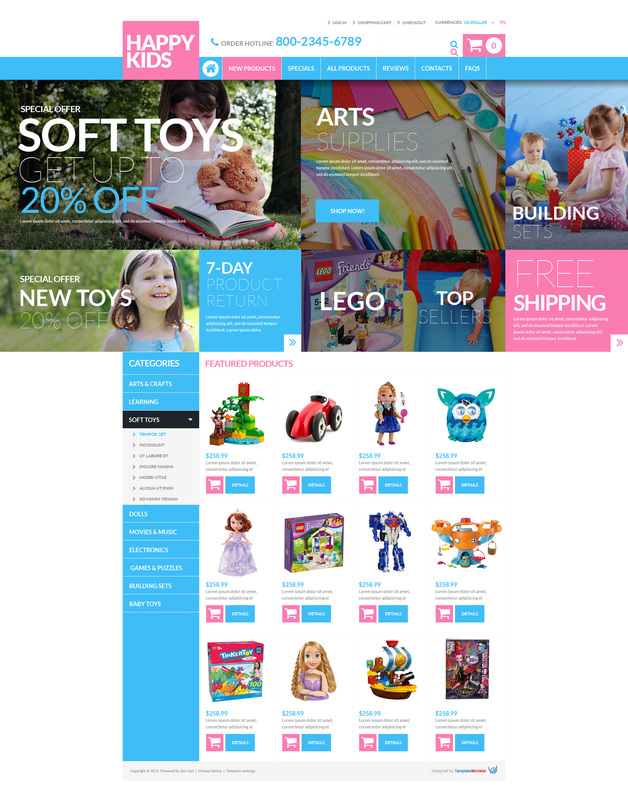 Happy Kids is a well-crafted theme made for all of you who want to start or remodel any type of online stores. It can be toy, gifts, hobbies & crafts, flowers, wedding, sport and many other. Its modern character will help to distinguish your store and engage more visitors in. They will enjoy the optimistic tone of your store design in fresh colors and intuitive navigation facilitated by advanced search, well-done categories, neatly organized content blocks. Clean valid coding and comprehensive online documentation will help you seamlessly modify this template to meet the needs of a particular online store.